A well-known food company came to us looking for a sculpture to add to a new retail store they were opening. They wanted something eye catching and memorable. 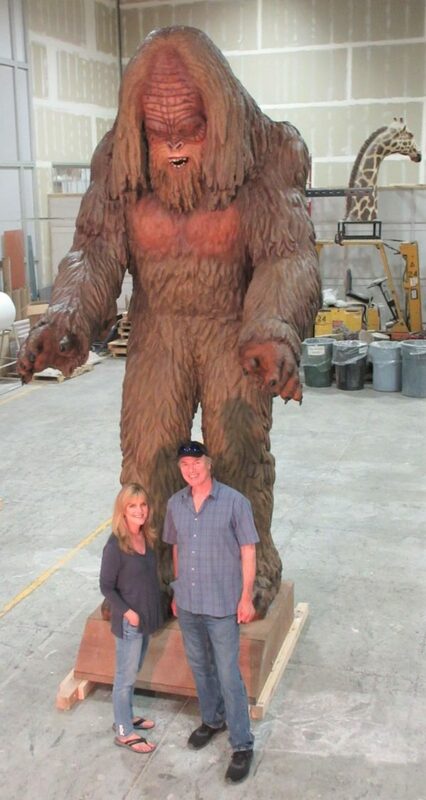 What’s more eye catching than a 12 foot sculpture of their mascot, a sasquatch? Working side by side with our client, we thought out every detail of the build. We created the aluminum framework for this larger than life sculpture. The sculpting process was thorough and meticulous but the result was worth the effort. We worked closely with the company to ensure that the sasquatch was instantly recognizable as their mascot. The design had to ensure that the sculpture was durable, fire rated, and could be fabricated within budget. We completed site audits and worked painstakingly to make sure the sculpture could travel safely and be installed easily at the new store. The result is a fixture that is sure to garner attention and be an attraction for years to come.